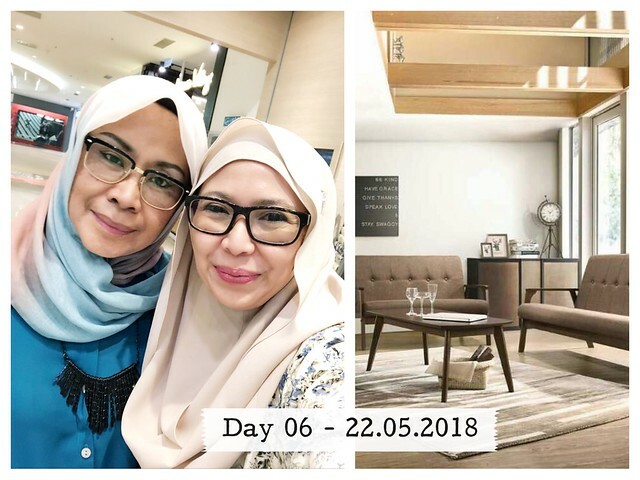 I can't believed that I meet Kak Zai at IndexLiving IOI City Mall Putrajaya this afternoon. I was still looking for a ready made curtain for my sliding door and browsing bedding at IndexLiving. When I was about to pay for my purchase I saw a familiar face. At first I thought I was dreaming, am I in Balkan? Hehehe.. than I called her name and she looked up. I didn't have much time to really catch up with her because I have to be in the office. But we did make plan to meet up after Ramadan and catch up. This is definitely the highlight of my day. I have a feeling that this Ramadan is going to be a great one for me.